Does anything signal those fall feelings quite like the turning of leaves from vibrant green to gold? 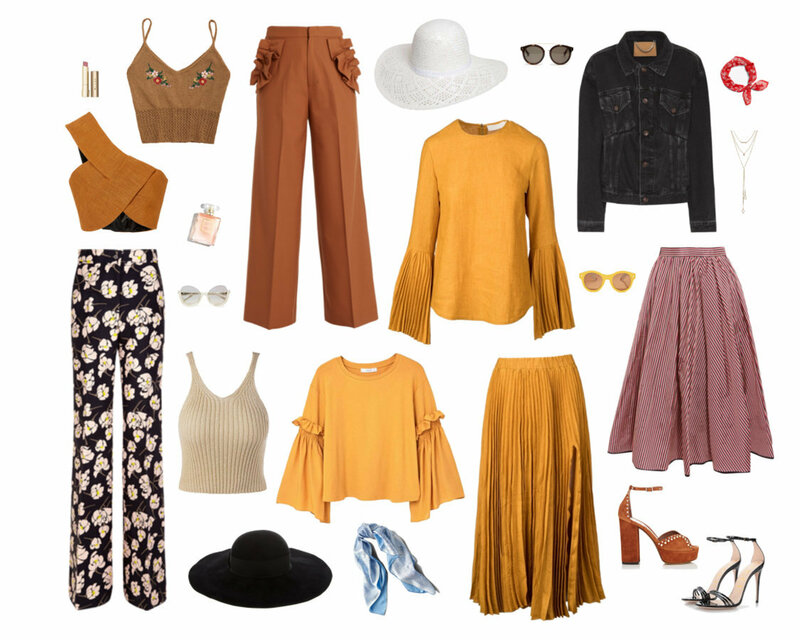 We love the hues that fall between ochre and mustard for fall garb. 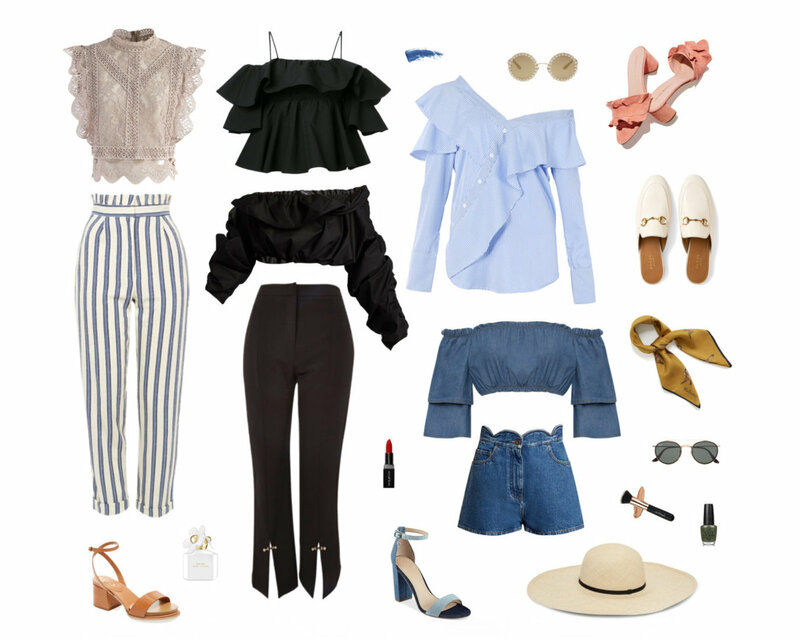 Go structured in a wrapped crop-top and floral trousers, or tap into slightly bohemian vibes with bell sleeves and wide-brim hats. Whether you opt for a flowing blouse or a strappy tank, full pleated a-line skirt or wide-leg pants, complete the look with platform heels. Accessorize with a vintage bandana or clear aviators. 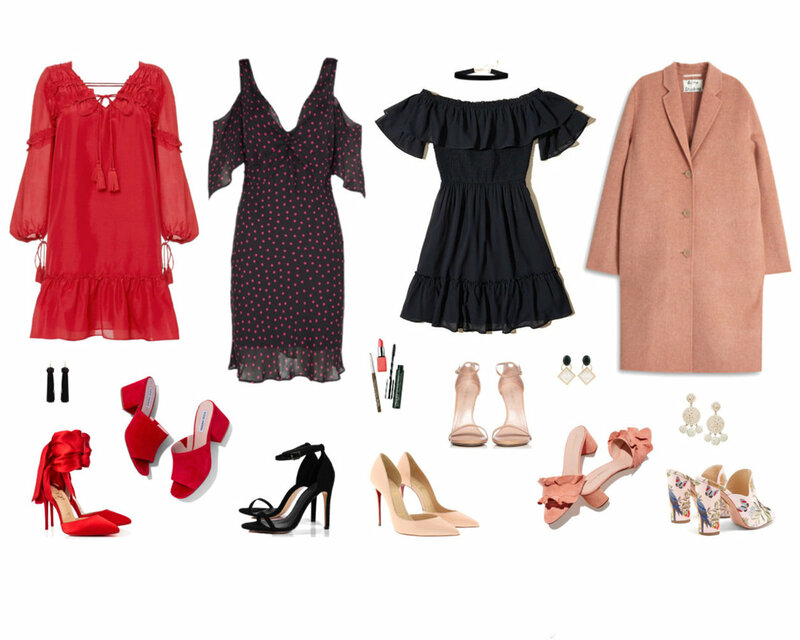 If your shoot location will be warm enough, bring flirty ruffles and cute cuts into the mix. 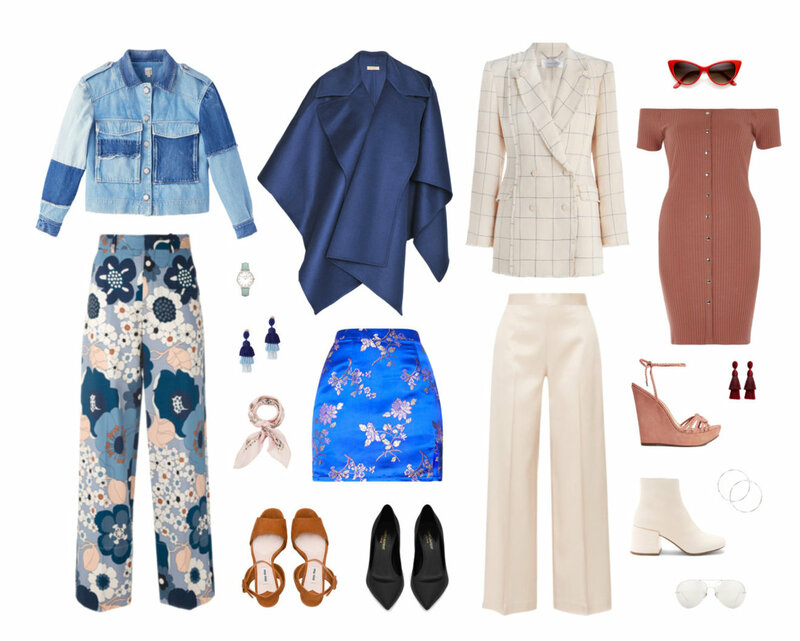 A twist on the fashion looks of spring, this guide combines flattering, wearable colors with fun and interesting cuts, ruffles, and accessories. We especially love a statement sunhat or a small silk scarf tied around the neck. Go for stripes and delicate lace tops if your personal style includes pattern-play. If you're more of a black-on-black girl, try a voluminous cropped blouse with tailored black dress pants and heels. And a red lip looks good with any combination of these looks! Red and pink are sometimes reserved for Valentine's or Christmas, but we think they are gorgeous for fall, especially if you plan on using photos from your fall session for the holiday card! We've selected three feminine dresses in various cuts and a flawless blush wool coat to adapt for colder weather. Try bold heeled slides in Chinese red or a tropical print, or go seamless in patent, pointed-toe heels. Accessorize with jewel, pearl, or tassel earrings, and perhaps have a go at the velvet choker trend! Our third guide is for the expressive and daring dresser. Bright chinoiserie and graphic 70s patterns in fresh colors are some of our favorite fall looks. Mix these with a grown-up wool cape or a patchwork denim piece to make them super-current. Not such a pattern lover? Try a 70s-90s inspired chic pantsuit in a flattering cream or camel color. Accessories: tassel earrings and vintage sunnies. when in doubt... wear red.